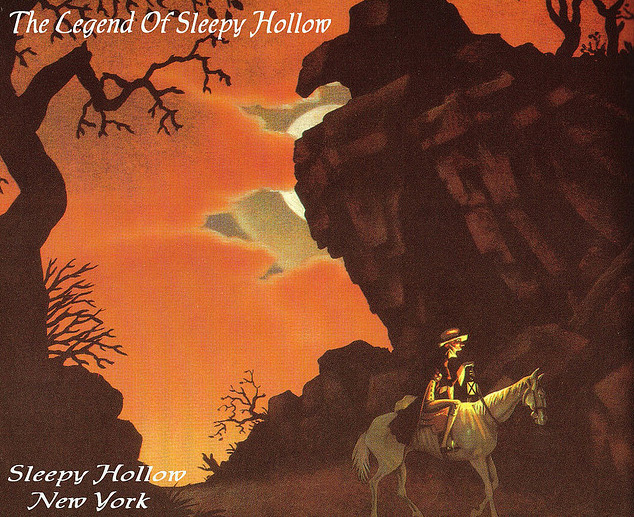 It’s widely known that many of the landmarks in Washington Irving’s The Legend of Sleepy Hollow are based on real places in the villages of Tarrytown and Sleepy Hollow, NY. Some of the Legend‘s landmarks, such as the Old Dutch Church and Sleepy Hollow Cemetery, have become local tourist attractions complete with walking tour apps available for your iPad. “Some mention was made also of the woman in white, that haunted the dark glen at Raven Rock, and was often heard to shriek on winter nights before a storm, having perished there in the snow”. 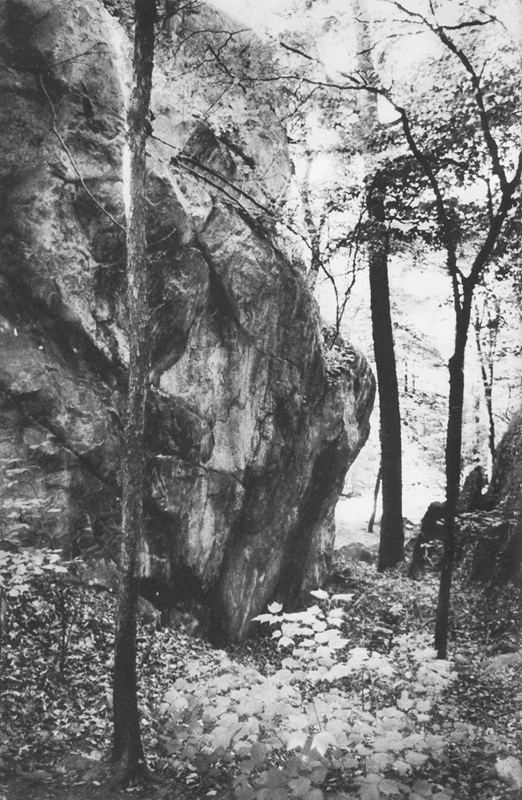 “A ghostly woman in white is said to haunt a large rock in Pocantico Hills. The rock is in a dark and foreboding glen on the east side of Buttermilk Hill, southeast of Ferguson Lake”. 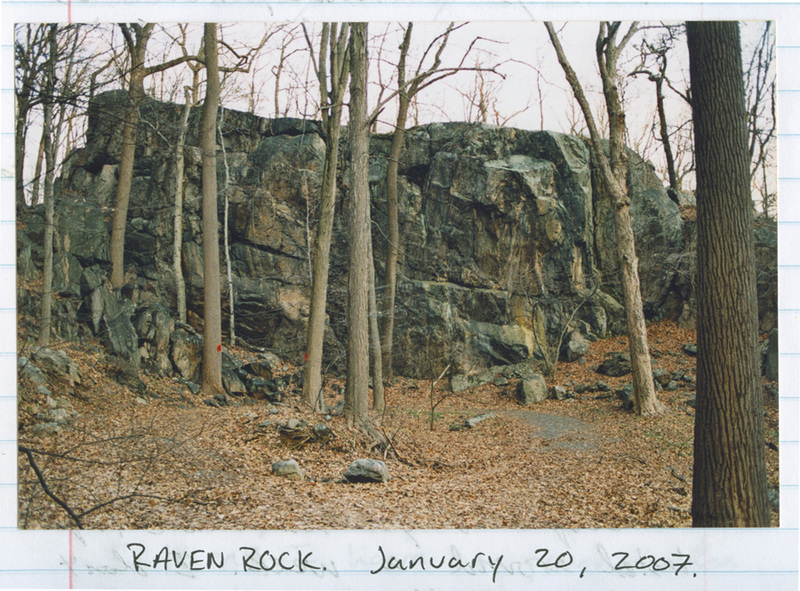 “Raven Rock is part of Buttermilk Hill in the northern reaches of the Rockefeller estate near the old Hawthorne Traffic Circle. Legend tells us that three ghosts, not just Irving’s lady in white, roam the area. The lady in white was a girl who got lost in a snowstorm and sought shelter from the fierce wind in a ravine by the rock. The snow drifted in and she perished during the night. It is believed that the spirit of the lady meets the wanderer with cries that resemble the howling of the wind, and gestures that remind one of drifting snow, warning all to stay away from the fatal spot. A more ancient legend tells of an Indian maiden who was driven to her death at Raven Rock by a jealous lover. Her spirit is believed to roam the area, lamenting her fate. The third spirit is that of a colonial girl who fled from the attentions of an amorous Tory raider during the Revolution and leaped from the rock to her death“. So it looks like Raven Rock is a real place! And if I was going to find it I had to begin looking on the east side of Buttermilk Hill. But how would I know it when I saw it? Would it be just a big rock in the woods? 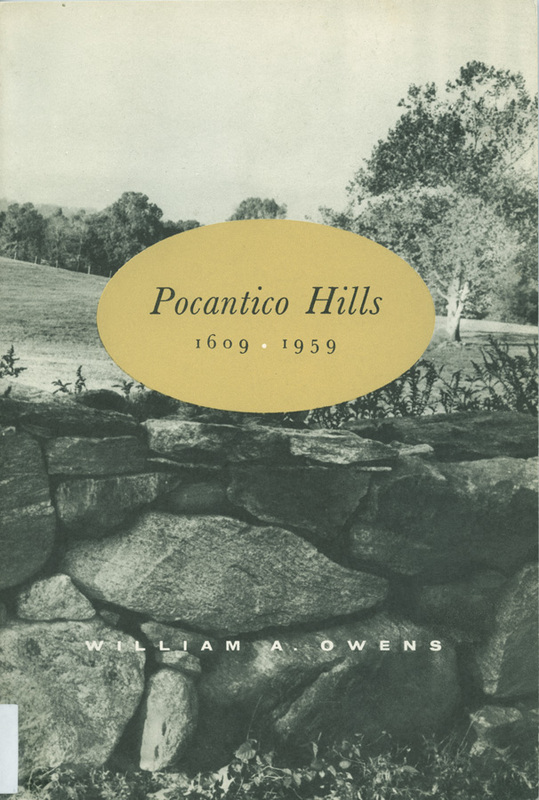 Well, I found a photograph in William Owens’s “Pocantico Hills 1609-1959“. So I made a photocopy, which I would use to compare with any large rocky cliffs I might find. 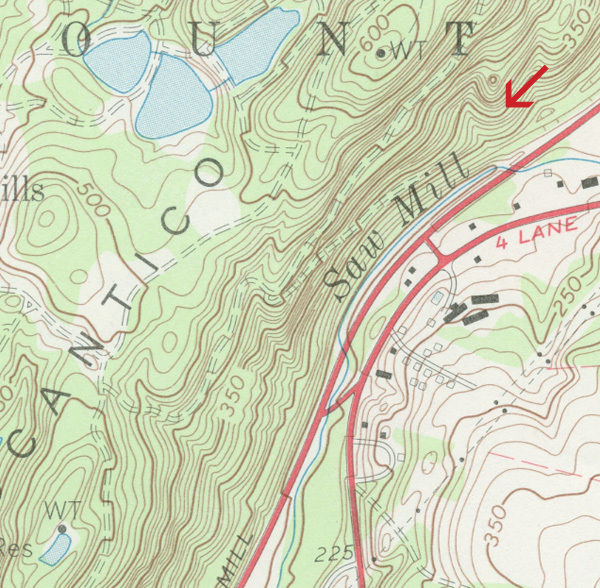 Next I consulted a USGS topographic map of the area, and noticed a trail that led northward & downhill to a dead-end on the east side of the hill. I didn’t meet any “woman in white”, “Indian maidens”, or “colonial girls”; but with the wind growing colder and the sun setting soon I didn’t stick around too long either. I’ve been back many times since then, and I’ll leave you with one last photo of a truly legendary place. For detailed hiking directions for reaching Raven Rock click here. Keep up the good work, I really enjoy it and sharing it with the folks @ my coffee place here in Yuma………..
You’ve done it again, Archive Sleuth! Hey, I really liked the blog. I never heard of Raven’s Rock so I liked how you explained where it’s mentioned and the ghost stories. I have heard of the “women in white” but didn’t know that’s where and how she died. Also I liked how you have a bunch of pictures in the post both serious and fun. 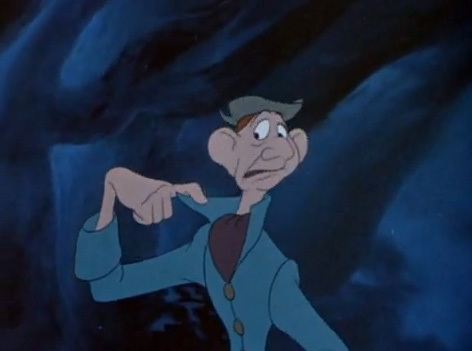 Love the Disney Ichabod Crane pic thought it was cute. Also you did a good job taking those photos. Look forward to your next entry. 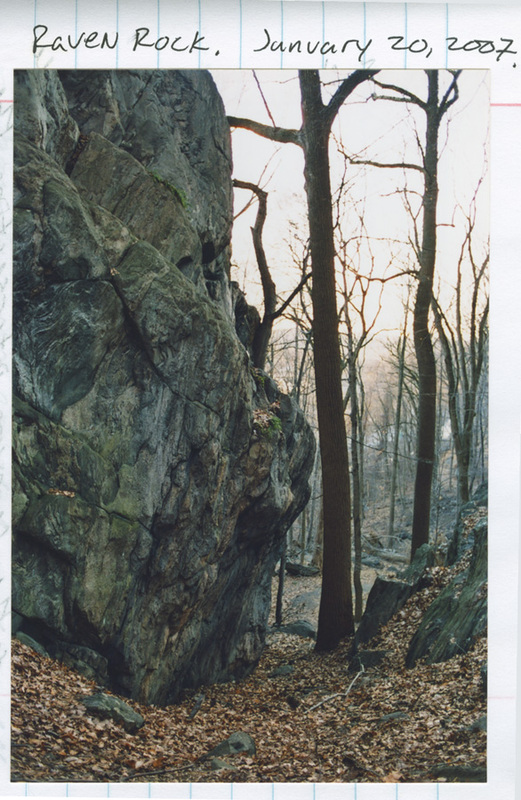 Archive Sleuth — may I use your photo of Raven Rock ? Or can you email and give me directions to get there so that I can take a photo of my own? Thank you. 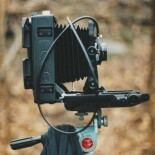 Yeah, feel free to use any images from my post about Raven Rock. I’d love to hear about whatever it is you’re working on. Let me know if you’d like detailed hiking directions. Lucas, thanks so much for your great detective work! 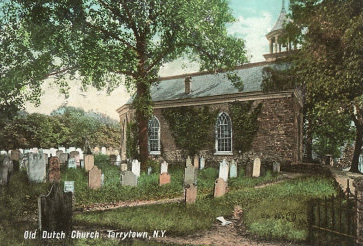 I am quite smitten w/Tarrytown and & Sleepy Hollow now, having recently learned I have long lost family buried in the Sleepy Hollow Cemetery. I was recently in Sleepy Hollow to visit the gravesite & explore the cemetery – I felt as if I had come home! I am learning as much as I can about the area, Washington Irving & The Legend of Sleepy Hollow. In reading the book, I came to the part about the woman in white @ Raven Rock so Googled it and found this blog! GREAT information & wonderful pictures – thanks so much for sharing. When I visit again – and I will visit again – I will definitely go see this in person. Thanks! It means a lot to me to hear from folks who are enjoying the blog. I’ve posted hiking directions to Raven Rock on the blog. If you visit Raven Rock the next time you’re in the Sleepy Hollow area drop me a line, I’d love to hear you’re impressions. Lucas, very creative story, You’re presentation of what might of been a dry, informative report was brought alive by Your sense of Humor! Thanks for sharing Dave. The photos are great, and I’m always thrilled to hear that someone’s made the trip to Raven Rock. Great work here. I just wanted to share my Raven Rock story with everyone. 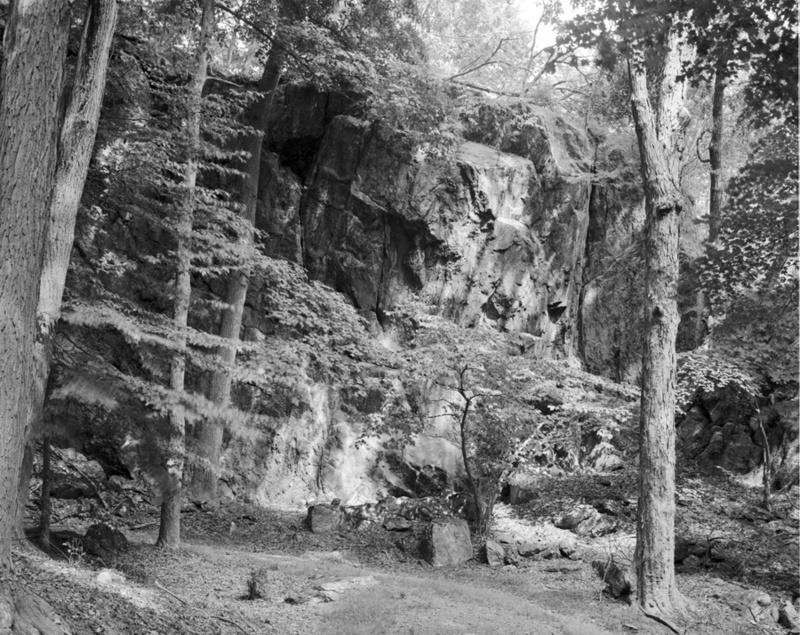 Back around 2001 I went hiking in the Rockefeller estate with a small group of friends. We had no plan, no idea where we were going, we followed the paths just to have some fun and get outdoors. We came across Raven Rock and stopped there for a break, partially because we were tired but more so because of how impressive and mysterious the rock really is. None of us knew anything about the ghost stories associated with the rock, we had never even heard the name Raven Rock before. Raven Rock amazed us, we sat under its slightly overhanging face for a while then left. The image of the rock stuck in my mind all these years until recently I decided that I wanted to go back, in my mind I knew that there was more to that place than just a nice area to take a break from hiking. I started looking at different maps to take a guess at where the rock may have been, until I came across this website and saw the maps and pictures that you have posted. At the moment I saw all of this I literally said out loud “I knew it!” because I always knew there was something special about that place after all of these years and I had finally confirmed it. I hiked to Raven Rock today using your hiking directions and it is exactly as I remember, it is truly an awesome thing to see but it is also a very dreadful place, it is eerie to be walking along the ridge line and all of a sudden come across such a dark and intimidating mass that just doesn’t seem to belong there. I was only disappointed to see that rock climbers have bolted parts of the rock to make a sport climbing route, which is permanent damage that takes away from the natural characteristics of the rock itself. Other than that the place looked exactly as I remembered and I plan on going back soon. If you have heard the story of the woman in white, you MUST to go Raven Rock because you will instantly be able to visualize it for yourself. Glad to hear you were able to visit Raven Rock again. Hearing stories like yours really means a lot to me, and makes it all worthwhile. Thanks for reading the blog! I finally visited Raven Rock and have you to thank for it! I lurked this page a few times before trekking the trek 🙂 Below is a link to my Facebook album. I made it “public” so hopefully you can view it. Thanks for the directions and info! I had many a childhood adventure to Raven Rock. There was an oil panting in the lobby of Hawthorne elementary school many years ago. Don’t know if it is still there. Ray, I grew up in Hawthorne. I was in Kindergarten at Hawthorne Elementary in 1966. I have been to Raven’s Rock many many times. From about age 8. 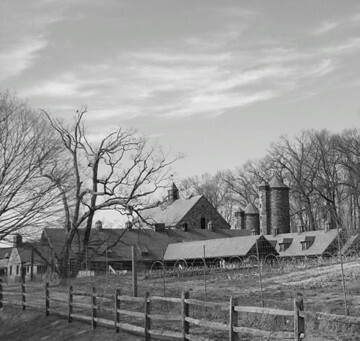 I sent much of my childhood exploring the Rockefeller Estate and Buttermilk Hill. From the time of the Hawthorne Circle to today. I have great and wonderful memory’s. Art, Where in Hawthorne did you live and how old are you? I lived up on Joyce Place in Hawthorne when our adventure to Raven’s Rock occurred. I was born in 1954 so my adventures happened around 1962-63 time frame. Art, Where in Hawthorne did you live and how old are you? This entry was posted on April 10, 2011 by Lucas Buresch in Caves, cliffs, and rocks, Historic sites, Legend of Sleepy Hollow, Pocantico Hills.